Eyelash Transplant is a safe and effective procedure to gain thick, long and beautiful eyelashes that look absolutely natural. This is a minimally invasive procedure that involves no pain, discomfort or any other complication. Every woman, at whatever age she may be, craves for those lush and long eyelashes that can enhance the beauty of her eyes. Yet, not every woman can fulfill her dream due to unavoidable reasons. However, here is a solution that can help every woman get beautiful eyelashes forever: Eyelash Transplant. Eyelash Transplant is a minimally invasive procedure that involves extraction of healthy hair follicles from the back of your head (which is known as the donor area) and their transplantation on to your eye lids in order to stimulate the growth of eyelashes in a natural and healthy way. The technique of hair transplant adopted here is called FUE or Follicular Unit Extraction where in the extraction and transplantation of hair follicles happens individually. There is no scarring as there will be no sutures in your donor area. A tiny section of the hair in your donor area or the back of your head is first trimmed down up to a length of 1mm. A local anesthetic is then applied to this area so that you won’t face any discomfort during the extraction of hair follicles. The hair follicles are then extracted from the donor area, one by one, using a precision tool that makes a round circular incision around the hair follicle to isolate the same from your scalp. The extracted follicles are dissected using a high-powered microscope in order to prepare grafts. The recipient area which is the skin on your eyelid is smeared with a local anesthetic to prepare the same for transplantation. Grafts are transplanted into these incisions, taking extra care to follow the direction and position of existing hair in order to achieve absolutely natural results. The entire procedure should be completed in about one or two hours as it may not involve more than 50 grafts. A period of three to four months is what you may require to start seeing the results of your eyelash transplant. With time, these results keep improving and in about a year or so, you should be able to achieve the desired results. In case you face any hair loss in about two weeks from the day of the procedure, there is nothing to worry. This is a temporary phase and absolutely normal in case of hair transplant procedures. The hair growth that happens after three months will be a continuous process that will go on forever. 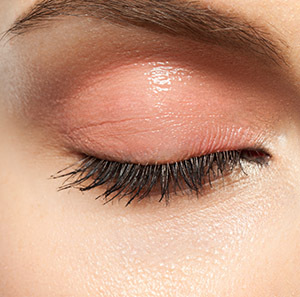 Being a minimally invasive technique, eyelash transplant requires hardly any time for recovery. As there won’t be any sutures or staples, your donor area will need no time to heal. As said earlier, you don’t have to worry about any kind of scarring. You may however come across some amount of crust formation at the places where the new hair follicles have been transplanted. This is a temporary reaction of the procedure which will normalize within the very first few days of the procedure. However, it is very important to follow the instructions given by your surgeon carefully to avoid any kind of infections or unwanted complications after the procedure. The team of experts at Nu Cosmetic Clinic refer you to takes every precaution that is necessary to ensure there are no side effects or complications either during or after the eyelash transplant procedure. They have sophisticated equipment and state-of-the-art facilities at all their clinics that enable them to carry out all our cosmetic procedures in a pain-free and comfortable manner. Apart from a little bit of itching, redness or swelling, eyelash transplant has absolutely no side effects. These are temporary in nature and will fade away within two or three days. As the number of grafts required in case of Eyelash transplant is lesser, the cost of the procedure is quite affordable when compared to other types of hair transplant. Yet, the exact amount can be determined only after estimating the exact number of grafts required and the density of your existing eyelashes. To make things more convenient and affordable, Nu Cosmetic Clinic refer you to experts who offers comprehensive packages that include consultations, procedure cost, surgeon fees, after-care and follow-up appointments. Nu Cosmetic Clinic has helped many women gain beautiful eyelashes within the shortest span of time. Most of our clients have been extremely satisfied with the results, which has made them write a few positive reviews. We have put up some of these on our testimonial page. You can go through them at your free time to recognize the quality of our services and understand how we can help you. Call us, Email us or just drop in at any of the clinics we refer you to. They are located in Belfast, London, Birmingham, Manchester, Newcastle, Leamington Spa, Nottingham, Leeds, Preston, Leicester, Sheffield and Liverpool whenever you are free, to have a discussion with one of our experts. We will be happy to assist you. Any form of cosmetic enhancement is very personal, so prices are bespoke dependent on your individual needs. As a rough guide, you can expect to pay £3490 – £4500.